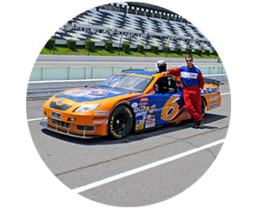 Congratulations on completing a Drive Experience on the 2.5 mile Super Speedway at Pocono Raceway. You are now ready for our exciting and challenging Advanced StockCar Experiences. Want more speed? Try our 25-Mile Challenger. Looking for more of a challenge? Try our Qualifier (No Lead Car). Or go all the way with our 100-Mile Advanced Racing Experience! Please see the prerequisites for these experiences below, as you will need to complete these experiences in steps. 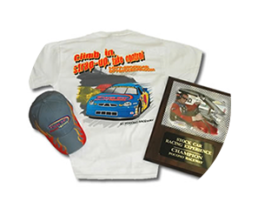 If you have any questions or would like us to build a custom experience for you please email us at info@877stockcar.com or call 877-786-2522. If you’re a repeat customer and looking for more speed, this experience is for you! 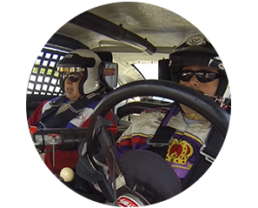 During this one on one 10-lap session with your driving instructor you will reach speeds higher than allowed in your previous 20-Mile Experience. Keep in mind, you must show good driving ability to reach these greater top speeds! Are you ready to drive Pocono with no lead car? Your personal instructor will be in the passenger seat for this 12-Lap session. He becomes your Driver Coach as he observes you at speed and helps you get ready for more! Your top speed will be determined by your ability to maintain a smooth consistent line. Your Instructor rides with you, then leads you! 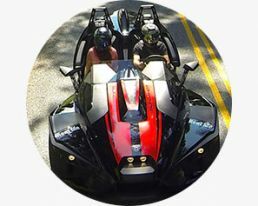 This exciting new experience gives you speed in both ways, following your Instructor and him riding with you. You will start with your Instructor riding along with you for 12 laps to observe and help you improve your skills. Then it’s 10 laps following him at top speed (based on your ability) to use everything you learned from his coaching and review. Challenge yourself and get behind the wheel for 100 adrenaline packed miles around the famous Pocono Raceway. This experience combines all of our top racing experiences into one (20-Mile Drive, 2 x 25-Mile Challengers and the Qualifier). You will have personal one on one coaching from one of our professional instructors throughout the day. If you’re up for the Ultimate Racing Experience this one is for you. *Promotions not applicable. This is a discounted package.